Students attend an intensive weekend every 2-4 months for 10 months. The time in between is devoted to application and practice of the methods, with online study and supportive mentorship. All hours approved for NCCAOM PDA credit and NCBTMB CE hours (30 hours per weekend, 120 hours for the full program). All classes also count towards CE hours for renewal of IL licenses for massage therapy, acupuncture, physical therapy, naprapathy, nursing, occupational therapy and social work. Program participants must be professional Asian Bodywork Therapists or Acupuncturists, or have at least 100 hours of student training in an ABT discipline. For practicing Asian Bodywork Therapists, one of Michael’s passions is elevating the clinical and economic success of dedicated Asian bodywork practitioners. Clinical results are the key to developing a thriving word-of-mouth practice. This program furthers the proficiencies for achieving clinical results across a broad spectrum of pathologies. The Ling Shu says of the Divergent channels: “...they are the very breath of the superior physician.” Come learn why this is true. For acupuncturists, you will learn to practice using empathic ability and your body’s guidance. You will learn to perceive and affect qi directly through touch with the same ease and efficiency as needling technique. This curriculum also gives detailed protocols for using the Divergent channels and Extraordinary vessels to treat chronic and life-threatening illness far beyond the depth explored in entry-level acupuncture training. In this presentation, Michael DeAgro discusses the extraordinary capacity of touch and how it is uniquely suited for restoring and nourishing the connection to life. Sharing insights from both classical Chinese medicine and modern neurobiology, Michael explores how human touch offers possibilities for growth and healing that cannot be matched by any other instrument. Human touch both receives and transmits force, resonance, and information, enabling the integration of diagnosis and treatment into a unified activity. He shares his discoveries about the internal dynamics of touch as a direct transmission of the Heart, which allows it to harmonize the life principle of Heaven and Earth. 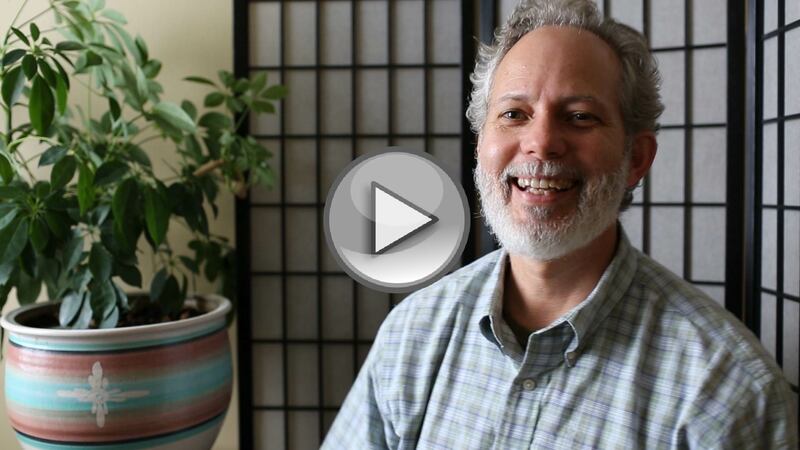 Michael shares his findings and reflections on what it means to sense “Qi” directly through touch and how to regulate the “channels of Qi” with effortlessness and immediacy. His insights into the practice of touch as medicine come from twenty-five years of practice as a shiatsu practitioner and somatic psychotherapist. Following the lecture will be a question and answer session about the content and objectives of the Postgraduate Clinical Shiatsu Studies Program. Tuition: $120 - the cost of the workshop can be credited towards the $500 program downpayment. In this workshop, Michael teaches a clear and simple method for achieving tangible results in the “channel qi” with effortless touch. We will explore the effects of light touch combined with specific changes in spatial perception that achieves immediate changes in the patterning of qi. This process teaches the participant how to take the gross motor skills of any shiatsu technique and transform them into the refined touch that elicits an intrinsic qi response. We will also examine what it means to work with the channels within an antipathogenic qi model. Instruction will include lots of demonstration and practice, practice, practice. Following the workshop will be a question and answer session about the content and objectives of the Postgraduate Clinical Shiatsu Studies Program. Learn how to work with multiple levels of the channel system to efficiently restore the natural and innate functions of life and healing. Expand your range of empathic perception for diagnosis and treatment to elicit effortlessly spontaneous shifts in the patterning of antipathogenic qi. Discover dynamic models of treatment that expand the scope of modern TCM training and extend the foundation training of Asian bodywork education. Explore the Dao Yin cultivation practices that enable you to give healing touch with greater proficiency and ease. 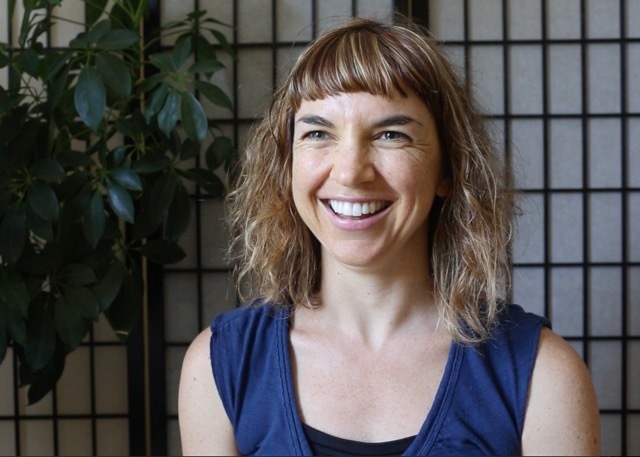 Create a sustainable bodywork practice by increasing your clinical ability to restore life in the presence of illness, disease, and disharmony. The program investigates the multiple systems of channels and vessels at the core of classical channel theory. Entry level training in shiatsu or acupuncture typically emphasizes the study and use of the primary channels for treatment. This program explores the use of all the channel systems within the classical tri-level framework of the three qi levels: wei qi, ying qi, yuan qi. These three levels encompass the total channel/vessel network: sinew channels, primary channels, lou vessels, divergent channels, and eight extraordinary vessels. Learning to work with all levels of the channel systems offers practitioners more dynamic treatment options, which are especially valuable for addressing the deepest roots of disease, mobilizing antipathogenic qi and empowering radical transformation in the growth and healing process of an unfolding life. Study of the distinct functions of each channel system provides practitioners with a broader framework for sensing - through empathic touch - the most optimal place to catalyze change. We will discuss the psychophysiology and distinctive pathologies of each channel system, and the appropriate shiatsu methodology for optimal treatment of each channel system. Each intensive includes basic instruction in both the theory and clinical application of one or two channel systems. Emphasis will be given to translating Chinese medical concepts into tangible, observable phenomena. The aim is to develop an embodied understanding of the material through experiential training and clinical practice. Throughout the program we will also explore the refinement of shiatsu methodology, expanding our range of perception for diagnosis and treatment. Special consideration will be given to the cultivation of empathic sensitivity and facilitating the intrinsic movement of antipathogenic qi with effortless force. In an antipathogenic qi model, we do not treat according to disease and pathology but instead assess for the emergent patterning of qi whereby the system is attempting to reorganize and restore its whole function. In this approach, we learn to perceive the system’s natural self-correcting momentum toward balance; and work with minimal effort to encourage its innate expression. Our goal is not to focus on altering disease manifestations but to elicit the total dynamic functioning of our original yang and yin expressing as the life cycle. When working with the antipathogenic qi and skillfully differentiating the channel level in which it is most operative, we can facilitate profound changes with minimal effort. Treating with intrinsic force is the ability to affect change through touch without effort, without relying on the physical movement (force) of touch, often referred to as “empty force”. It enables us to achieve maximum effect with minimal effort. When combined with a refined understanding of the total channel network, it can stimulate radical shifts in the patterning of qi. 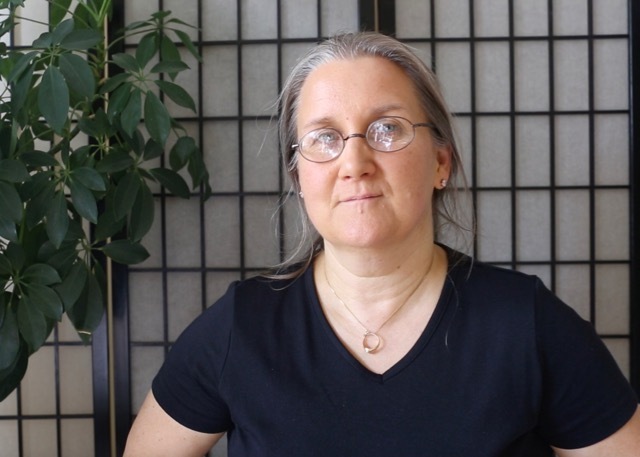 Over the course of the program, Michael will introduce the fundamentals of his shiatsu method, Zenki Soho Shiatsu, which he originated from the combined influences of his long-time studies of Quantum Shiatsu with Pauline Sasaki, his studies of classical medical teachings, and daoist internal martial arts. Zenki Soho Shiatsu approaches diagnosis as a perception of spatial dynamics rather than a movement of qi and treatment is approached as the regulation of contraction/expansion of the spatial field through empathic resonance and spatial imagination. His method often produces tangible and immediate results with seemingly no effort. Learn the Daoist Body Art practices that prepare you to give bodywork at a master level. The program explores the daoist practices of jindan and daoyin as foundation cultivations for developing a shiatsu technique capable of eliciting change with effortlessness. Jindan, translated as “golden elixir”, is the specific practice of re-ordering perception-action where imagination leads action. Daoyin, translated as “guiding and leading”, is the specific skill of re-patterning the body’s structure and motion with imagination. The jindan and daoyin practices involve stillness and movement processes designed to train the unique sensitivity for affecting qi with effortless touch. This self-cultivation process is key to differentiating the perceptual qualities of jing, qi, shen, and xu (body, movement, the spatial imagination, and emptiness). These practices are key to differentiating the channel networks and infusing out shiatsu with intrinsic power. The first intensive investigates the sinew channels, which regulate the body's exterior. Unblocking the sinew channels facilitates the flow of wei qi as it is expressed through the sensory orifices, the skin, and the myofascial network. Successful treatment of the sinew channel system supports our exchange with the world around us. The free flow of wei qi is essential to creative expression and the management of boundaries in life. Effectively treating the sinew channel complex is critical to healing many immunological challenges such as allergies and infections, neurological and orthopedic conditions, skin disorders, postural distortions and chronic pain. Skillfully treating the sinew channels is critical to healing illnesses in the sinew channel layer and is also important to enhancing resiliency and expressivity in our basic movements in the world. With greater sinew channel treatment skills, we can offer exceptional care for situations ranging from ordinary occupational stress to high performance needs for athletes, musicians, dancers, performing artists, and heavy laborers. 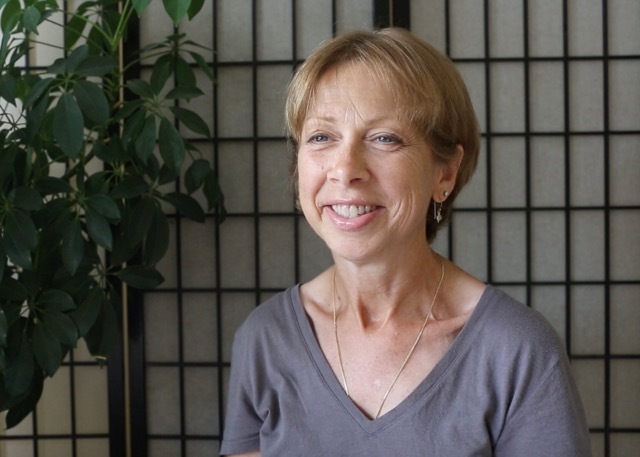 Our shiatsu training will involve learning how to activate the intrinsic release of holding patterns in the sinew channels without the need for physical manipulation of the tissue. The second intensive extends our understanding of the primary channel system. The primary/luo channels are responsible for generating and managing the flow of ying qi (post-natal qi/blood) and closely associated with the zang-fu organs. Learning to effectively treat the primary channels helps us support the continuous creation of life, restore health to visceral disharmonies, and nourish all of the body’s tissues. We are most familiar with the functions of this channel system from our foundation studies in TCM models of physiology. This intensive presents lesser-known models of physiology from classical Chinese medicine such as Six Spheres of the Shang Han Lun and the Fire Spirit school, along with contemporary models regarding the biophysics of water and connective tissue. Exploring these alternate teachings refines our understanding of the regenerative cycle of life and how to restore the innate momentum of qi through the primary channel network. Effective treatment of the primary channels is especially important in revitalizing the body’s organ systems, optimizing qi and blood circulation, and harmonizing the body’s natural rhythms. Skillful primary channel treatment especially benefits digestive, respiratory, gynecological, and sleep disorders. Our shiatsu training with the primary channels will explore a unique and alternate method of quickly restoring the post-natal cycle of ying qi for self-healing and nourishing life. This antipathogenic approach to primary channel treatment is not based on the perception of disease manifestations. It follows the perception of the ying qi cycle itself and targets the channel that will most effortlessly restore its intrinsic movement. The third intensive in the series will explore the nature of the divergent channels, which are rarely taught in standard curriculums. The divergent channel system is often the least understood of the channel systems and the most important system for regulating our instinctual nature and spontaneous adaptation to life’s challenges. The divergent channel system governs the interaction between yuan qi and wei qi. It is responsible for innate protection (wei qi) of our essential self (yuan qi) and the life cycle. As such, it is both a source of core power and the place of our deepest tensions and unresolved conflicts. Learning to work with the divergent channels is crucial to resolving a wide range of chronic and degenerative illnesses including autoimmune diseases, post-traumatic stress disorders, psycho-emotional disturbances, endocrine diseases, cancer, and many unexplainable psychosomatic conditions. We will explore a shiatsu treatment technique developed specifically for engaging this deeper channel layer. Some of the most dramatic healing responses are a direct result of affecting the divergent channel network. In our final intensive we will examine the extraordinary vessels as the constitutional foundation for life. Being conduits of yuan qi (or jing), they represent the primal innermost organization of life and key developmental cycles. Traditionally, these vessels were not used to deal with ordinary circumstances. They are called upon under extraordinary circumstances such as life-threatening illnesses, major life altering events, or critical developmental transitions in the life cycle of birth, growth, and completion. We will develop adaptations of our shiatsu technique to invoke the special influence of these primordial vessels. Also in our final intensive we will practice a method of multi-dimensional diagnosis through hara and channel scanning using the empathic sensitivity cultivated through the program. With new understandings of the total dynamic functioning of the channel networks, we will practice designing a treatment process and long-term treatment plan that facilitates greater integrity in the restoration of health and human potential. Time will be given to learning how to behold and tell the story of an individual’s transformation as reflected in the embodied spirit’s movement of qi. I was so enthralled with what I had already learned through my entry-level training that I wanted to learn more. When this program came up, there was a potential to help people who had chronic diseases, degenerative diseases, autoimmune diseases. And since I know people who have those challenges it really gave me the impetus to sign up and do it. I have one client in particular with whom I have working with the divergent channels. She came to me very reluctantly and fearful about being touched by strangers, fearful of anything medical. A couple of months later, she no longer has those fears. Her relationships with her family have improved. She is looking to become a social worker to help people. This client is a marvel for me to see, I have seen her blossom into this person who is more social and happy and welcoming of new things. To anyone who is just finishing their shiatsu training and wondering if their ready to take this next step, I say you are ready! Take it! I feel there is a benefit to taking this program right after or while still in an entry-level program because I didn’t have a set way of doing things, I was still learning and still trying to figure out. And this practice expanded my horizons. I didn’t have any preconceived notions about anything and it was just a natural progression for me. So if anyone is on the fence about it or thinking about it - “Should I? Shouldn’t I?” - I’d say just do it! You won’t regret it! Shiatsu is poetry! Shiatsu is philosophy. There’s never a time at which the line of inquiry stops. This is a fascinating line of inquiry. It has deepened and enriched my practice, and I feel I have many many more years of inquiry to pursue along this line. This whole program has just been really fun for me. I’ve really enjoyed it and my kids are tired of me talking about it. I do not regret one moment of it. It’s been wonderful. I was particularly interested in this work because I had several clients who were dealing with traumatic memory, and they knew that it was underlying their symptoms. One client had made so many different changes, but there were parts of his lifestyle that he just seemed powerless to change, though he knew were undermining his health. Suddenly he was able to change them. He was able to change his sleeping patterns, he was able to change the way he was eating, he even changed his job. And when he walked in the day that he changed his job, he looked five inches taller, it was just wonderful to see. This barrier that he broke through really coincided with our introducing the divergent channel work. I feel that the investment I made has been well worth it in so many ways. Some of the things I am realizing and the way I interact with people are totally different than they were a year ago. In six months or less I have seen this level of results which is pretty incredible. That’s how powerful these techniques are, and that’s the potential you have as therapist if you really step into this practice and apply it. Initially coming into it, I thought “Oh gosh, I don’t know if I could do this without the shiatsu background". I think if you’ve got the basic Chinese Medicine foundation as any Asian Bodyworker, you’re going to be fine. Not only that but I think that it really does open your perspective up as a therapist as to what’s possible. I started using shiatsu while I was still an acupuncture student to give myself a better understanding of touching the channels. With acupuncture we don’t always get this training to look at the difference between each channel system, Primary, Sinew, Divergent, Extraordinary, and the vibrational quality of each. The curriculum that Michael was using, especially with the extraordinary vessels and the divergent channels, has been really helpful, and went far beyond the applications and theory I was taught in acupuncture school. I now understand how to perceive those channels energetically and work with them clinically. I’ve gotten some incredible results, sensations within my own body and just knowing, and then getting feedback from clients during the treatment that “yes this is what’s happening.” So what I’m feeling, they are feeling as well. We’ve been experiencing some incredible leaps forward in their healing process. Psychoemotional conditions respond very well, for clients dealing with anxiety and past traumas, and helping to release what’s affecting the body somatically now. I would absolutely suggest this to any type of practitioner. It can only deepen your practice and your faith in the medicine. Michael DeAgro has been investigating the nature of touch for thirty years. His insights about touch and consciousness are inspiring bodyworkers and somatic therapists of all traditions. He began his career as a visual artist, psychotherapist, and expressive arts therapist with a BFA from Rhode Island School of Design in 1985 and an MS in counseling psychology from Loyola College in 1990. His interest in somatic psychotherapies and holistic medicine lead to his study of classical Japanese-Chinese medicine. In 1993, he began his Asian bodywork studies at the Baltimore School of Shiatsu, with Rosemary Scavullo and Barbra Esher. After his foundation training, he studied extensively Pauline Sasaki’s method of Quantum Shiatsu, which evolved from her direct studies with Shizuto Masunaga and Akinobu Kishi. Michael also practices the Japanese methods of Sotai and Koshi Balancing as well as researching the classical channel teachings and roots of bodywork in Daoist medicine traditions. Michael’s newest project is the study of equine bodywork. In 2002, he began his studies in Chinese herbal medicine through the Institute of Chinese Herbology. In 2009, he completed two years of private study with Gonzalo Flores of GroundSpring Healing Center in Portland, Oregon. In 2014, he completed the White Pine Institute’s Graduate Mentorship Program with Sharon Weizenbaum. In 2015 he completed foundation studies of the Shang Han Lun herbal tradition with Dr. Feng Shi Lun of the Hu Xi Shu Classical Medicine Research Association in Beijing, China. In 2017, he completed foundation studies in Hunyuan medicine with Dr. Yaron Seidman and became a fellow of the Hunyuan Institute. Michael also practices both Chinese and Japanese martial arts. 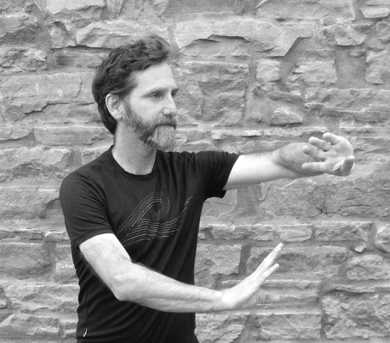 He studies Daoist internal martial arts with Scott Phillips of Northstar Martial Arts in Boulder, CO. He has studied Aikido and Iaido with Roo Heins of Northwest Michigan Aikikai and continues to train with the Northwest Michigan Aikido Club in Traverse City, MI. He credits his study of internal martial arts as key to his understanding of effortless power and the spontaneous transformation of qi. 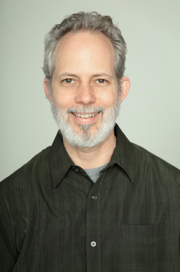 Michael is director of Zenki Lotus Institute in Traverse City, Michigan where he combines the practice of psychotherapy with Asian bodywork therapies and Chinese herbal medicine. His clinical specialties include chronic pain, women’s health, fertility, cancer care, autoimmune illness, posttraumatic stress, and mental illness. He treats humans, horses, and dogs. He is a licensed professional counselor in the state of Michigan and a Certified Instructor member of the AOBTA. He served on the AOBTA board as Director of Education, Chair of the Research Committee, and member of the Peer Review Committee. Over the last four decades Scott Park Phillips has been changing the way people comprehend human movement. His insatiable enthusiasm for creating new models for the transmission of traditional Chinese movement arts has had a profound influence on other innovators and teachers. From traditional Chinese martial arts, to daredevil skateboarding, to world dance, to the golden elixir practices of Daoist moving meditation, his vision of theatricality expressed inside of Daoist cosmology is seamlessly intertwined with insights into healing, self-defense, emotional maturity, and the unfolding of interpersonal empowerment. His influential 2016 book Possible Origins has changed the way people think about the deep connections between martial arts, theater and religions worldwide. Scott taught kungfu as improvisational musical-theater to thousands of children over two decades with Performing Arts Workshop in San Francisco. As a professor working with American College of Traditional Chinese Medicine he innovated a vocabulary for conceptualizing the human body that is transforming the way advanced bodywork is being practiced today. He is a fast thinker, a disruptor of convention, and deeply open to collaborative, spontaneous learning. Scott’s articles on Daoism in America, Daoyin, and the theatrical history of Tai Chi have been published by the prestigious Journal of Daoist Studies. He is wrapping up his next book, which blows the lid off of the history of internal martial arts as a path to enlightenment and will be published later this year. Scott Park Phillips began studying Chinese martial arts as a child with Bing Gong and has had a life long relationship with Chinese Martial arts innovator George Xu. He was a professional Modern dancer in his twenties, and was mentored in Indian dance by Chitresh Das and Congolese dance by Malonga Casquelourd. In 1996 he began a nine year intensive study relationship with Daoist teacher Liu Ming. He now lives in Boulder, Colorado. 2. Add your name unpaid to the provisional student list using the form below. We will contact you to review questions, verify prerequisites and go over any details related to payment plans, including a credit check for Payment Plan 2, as appropriate. Please enter any questions you may have at this point. 3. Pay the $500 deposit (minus $100 early registration discount through 8/17/18), and let us know which payment plan you intend to use. A $500 deposit holds your place. Students planning to pay in one sum can pay the balance of $2850 on September 16th. Students using Payment Plan 1 can put a credit card on file to be charged on the first of each month beginning 9/1/18. Use of Payment Plan 2 (2-year financing) is subject to a credit check. A $25 fee applies to cover the cost of the credit check. A $100 early deposit discount applies until 8/21/18. All students registering for the program must have their qualifications verified by Michael DeAgro. Program participants must be professional Asian Bodywork Therapists or Acupuncturists, or have at least 100 hours of student training in an ABT discipline.